(Scottish Ambulance Service NHS Trust). 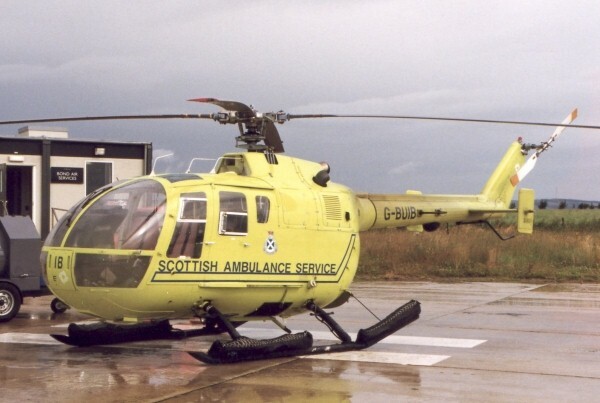 The first Scottish air ambulance helicopter was a Bo 105D (G-BATC) operated by Bond Helicopters for a six-month trial in 1989. Initially based at Dundee Airport, the trial was extended for a further six-month period and relocated to Inverness. 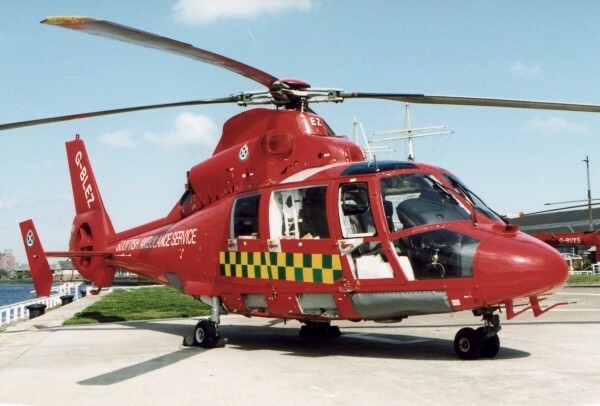 In 1993 a contract was awarded to Bond Helicopters to provide air ambulance cover for the Scottish Ambulance Service using two Bo 105Ds, one based at Inverness (Raigmore Hospital) and the other at Prestwick Airport. 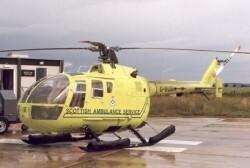 The second helicopter later moved from Prestwick to Glasgow. Also in 1993, the first BN-2B Islander aircraft operated by Loganair appeared in the colour scheme of the Scottish Ambulance Service. 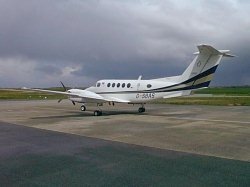 Of the five Islanders in the Loganair fleet, three were used for air ambulance duties - based at Glasgow, Kirkwall (Orkney) and Lerwick (Shetland). 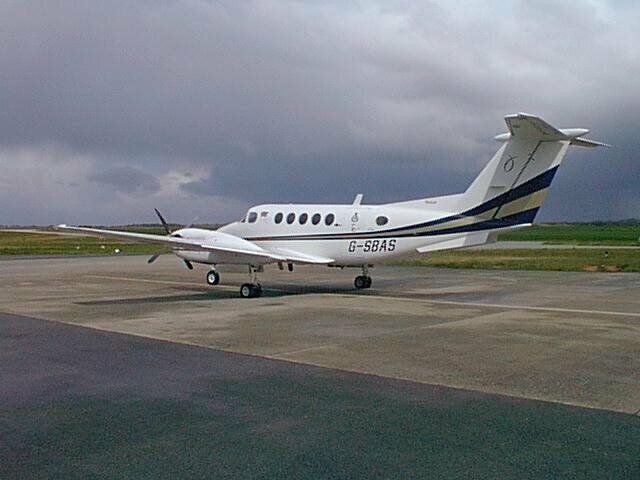 In April 2006 a seven year contract with Gama Aviation commenced, delivering new aircraft and faster response times. 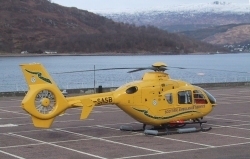 Gama Aviation now operate two EC 135 Eurocopter helicopters from Glasgow and Inverness (sub-contracted to Bond Air Services) and two brand new purpose-built pressurised fixed-wing King Air 200C aircraft from Aberdeen and Glasgow. The King Airs are used for planned patient transfers and replaced the Islanders previously used. Prestwick Airport 1995? - 19? ?